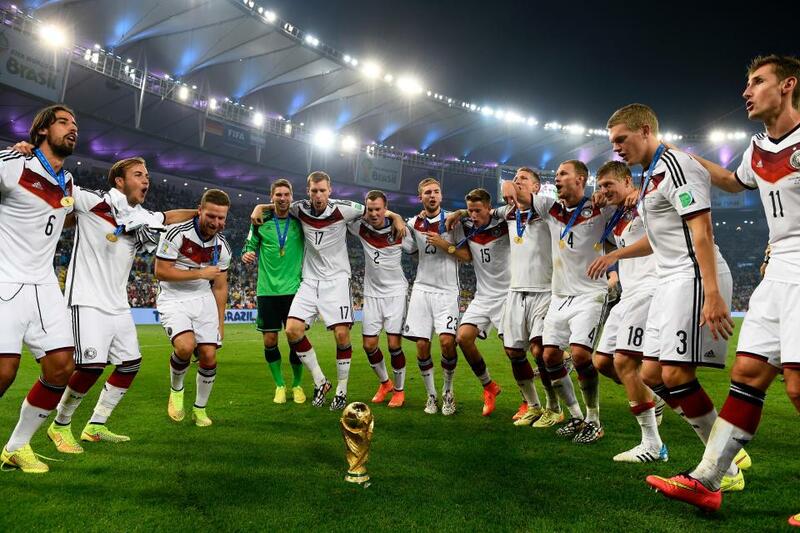 Which players are in the World Cup Russia squads and what are Betzest™ odds for their teams to win the group stage? New Sportsbook World Cup 2018 ✅ Betzest™ Welcome Bonus Offer : €5 No deposit required + 100% UP TO €50 on your first deposit! With less than two weeks until the start of the World Cup Russia 2018, coaches have started announcing their 23 – man squads. The final list of 23 players per national team will be submitted to FIFA by 4 June 2018, 10 days prior to the opening match of the tournament. This is by far one of the easiest groups when compared to the remainder of the groups. The Russians have definitely got lucky in the draw. Uruguay are also amongst the favorites to go through to the next stage. Uruguay are a star-studded team with players like Edinson Cavani and an all-time favorite Luis Suarez. Strikers: Marwan Mohsen, Ahmed Gomaa, Kouka y Mohamed Salah ? This group had the potential to be the group of death but then faded away during the draw. It is predicted to be the strongest in the tournament since it has 2 European Giants. The group will kick off with the game between Portugal and Spain. Both teams are favorites to move on to the Knockout stage. If you are really willing to put take a risk, a stake on the Danes at odds of 5.3 definitely wouldn’t go amiss. France is a young and incredibly talented, fast team but Danes have shown us that they have some decent quality during the qualifying stages. But, France is one of the favorites for a reason. They have been producing talent for years and have recently provided us with players like Antoine Grizmann, Kylian Mbappe, Paul Pogba and Anthony Martial. Put these 4 together in a single team and France are more likely to bag loads of goals throughout the entire World Cup. The clear favourite in this group is going to have to be Argentina but everyone is also going to have their eyes on the Iceland team who famously knocked England out of the European Championship in 2016. We are just going to have to wait and see if they are ready to shock the world again. Croatia are the 2nd favourites to make it through the group stages. Betzest predict that Argentina and Croatia are the favourites to go through. Brazil are the favourites to finish off this group as outright winners. This is completely justified due to the start studded team they have with the likes of Neymar, Gabriel Jesus, Philippe Coutinho and so on. Brazil will also be out to avenge their loss to Germany in 2014 and were made the laughing stock of the world. Serbia have also played some impressive football during the qualifying stages where they recorded 1 defeat in the 10 qualifying matches. This team features the likes of Manchester United star Nemanja Matic and the star that can really make a difference, Sergej Milinkovic-Savic who plays for Lazio. Has turned out to be the Group of Death with the Germans on the lucky side of the draw. The defending champs should breeze through the group stages and qualify for the knockout stage. They picked up 30 points from 10 matches in the qualifying stages and everyone expects them to get another 9 points from the 3 games in this group stage. Mexico are predicted to finish 2nd in this group but Sweden are going to be up for the challenge after they knocked the Italians out of the world cup during the play off stage. The two European giants England and Belgium are set to battle it out for the top seat in this group. They are both extremely pleased with how the draw turned out. They both have the best chances of making it through to the knock out stage. Tunisia and Panama don’t really stand a chance against these two European giants unless luck is in their corner. Roberto Martinez has announced a 28-man preliminary squad with the full 23-man squad to follow after Belgium’s friendly with Portugal on Saturday 2nd June. The World Cup 2018 has been quite kind to Poland throughout the draw. They have been put up against the likes of Senegal, Colombia who have failed to impress through the qualifying stages and Japan. Unfortunately, this group has 3 teams with a high probability of making it to the knock out stages. Poland and Colombia will still remain as the favourites to make it through this stage. Goalkeepers: Eiji Kawashima (Metz). Masaaki Higashiguchi (Gamba Osaka), Kosuke Nakamura (Kashiwa Reysol). Defenders: Yuto Nagatomo (Galatasaray), Tomoaki Makino, Wataru Endo (Urawa Reds), Maya Yoshida (Southampton), Hiroki Sakai (Marseille), Gotoku Sakai (Hamburg), Gen Shoji, Naomichi Ueda (Kashima Antlers).Midfielders: Yosuke Ideguchi (Leonesa), Makoto Hasebe (Eintracht Frankfurt), Toshihiro Aoyama (Sanfrecce Hiroshima), Keisuke Honda (Pachuca), Takashi Inui (Eibar), Shinji Kagawa (Dortmund), Hotaru Yamaguchi (Cerezo Osaka), Genki Haraguchi, Takashi Usami (Fortuna Dusseldorf), Gaku Shibasaki (Getafe), Ryota Oshima (Kawasaki Frontale), Kento Misao (Kashima Antlers). Strikers: Yuya Osako (Werder Bremen), Yoshinori Muto (Mainz), Shinji Okazaki (Leicester), Takuma Asano (Stuttgart).